As Entrepreneurs of the world and high performers we often tend to hire Virtual Assistants to help us organize our work. It is essential for us to do so in order to become as productive as possible. 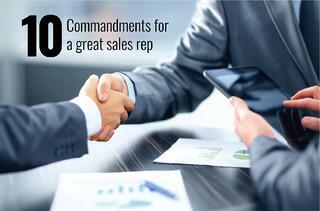 Here you will find 10 commandments for a great sales representative.